Send off your wedding guests with a big kiss - or at least the next best thing! These Personalized Theme Lip Balm Tubes are all natural, and infused with organic oils and shea butter. They will surely make your guests feel pampered - this is one favor they won't leave behind! Each lip balm is packaged in a clear glossy tube for a high end spa look. Available in a choice of 3 flavor/color options - Vanilla Ivory, Cherry Pink, and Mint Green. 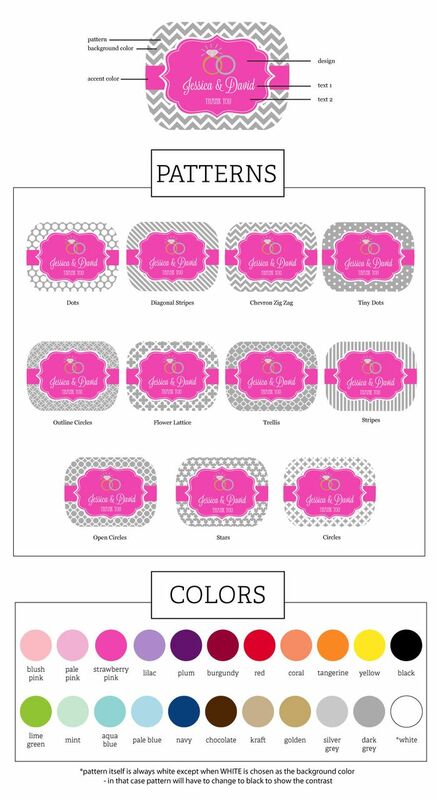 Also included are personalized labels with a choice of color, pattern and design for a truly custom favor! I am very pleased with these. The vanilla flavour is great and the stickers were easy to put on. Excellent quality.